66" x 36" x 22" - Rectangle Tub with Tile Flange & Skirt. 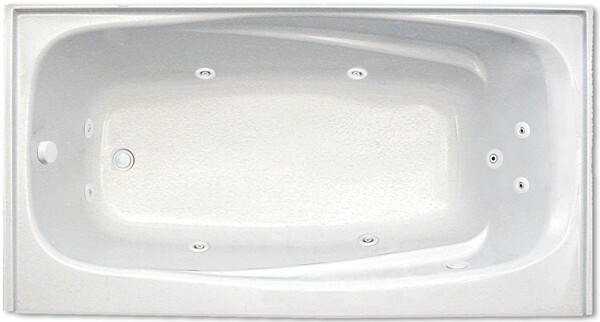 Longer than the standard bath, this tub offers plenty of features. 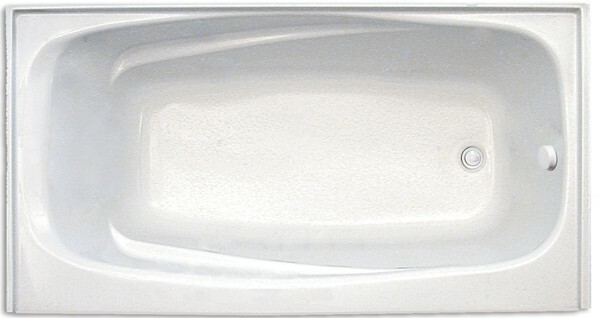 Armrest for relaxation. EZ Clean tile flange, choice of left or right drain and a front skirt with access, perfect for an alcove. 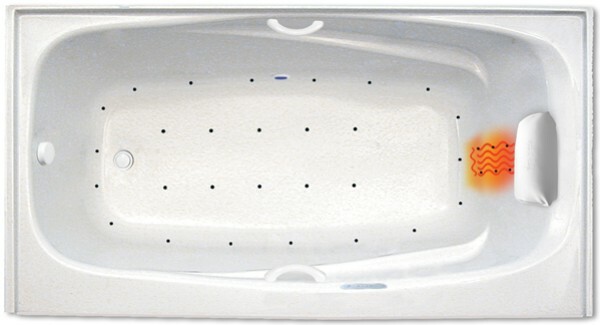 Choose a Sooth Soak heated soaking tub for a simple, tranquil pleasure. 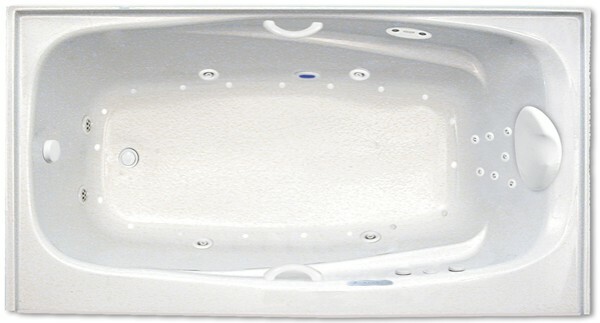 Go to the ultimate combination: powerful jets and soothing air bubbles. 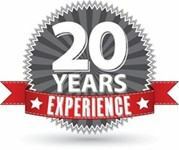 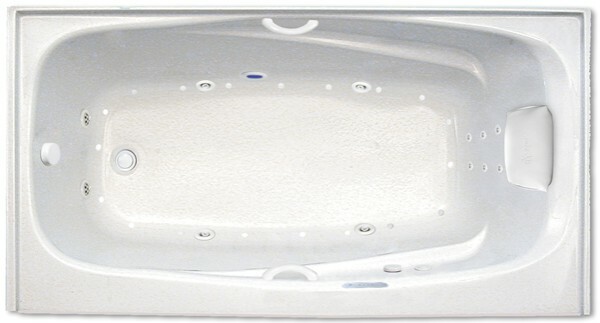 In fact you can choose from 11 tub styles: Soaking Tub, Heated Soaking, Air (3 styles), Whirlpool (3 Styles) or Combo Whirlpool-Air Bath (3 Styles). The soaking tub is pictured. 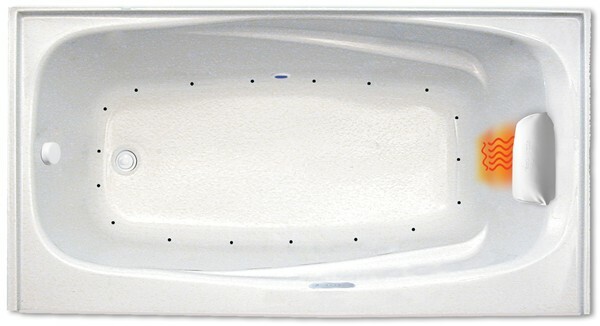 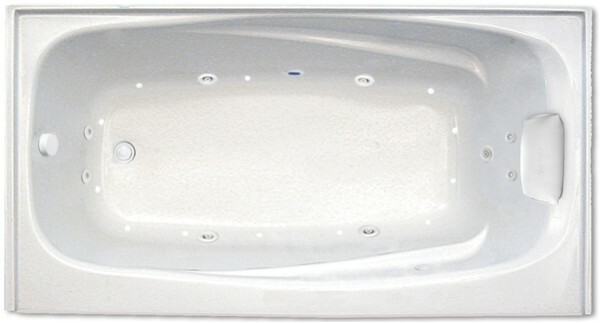 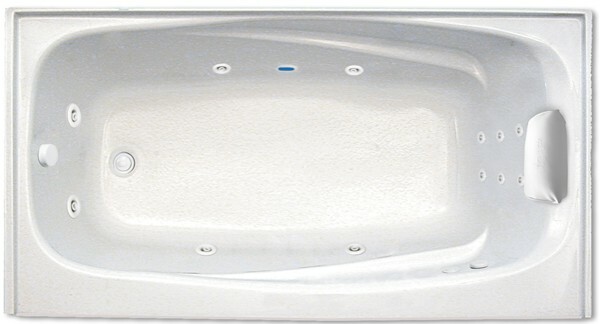 Tub Size: 66" x 32" x 22"
Depth to Overflow (center): 16"